A horizontal skyscraper that submerges Central Park to make room for a multi-functional mega structure has won eVolo’s 2016 Skyscraper Competition. 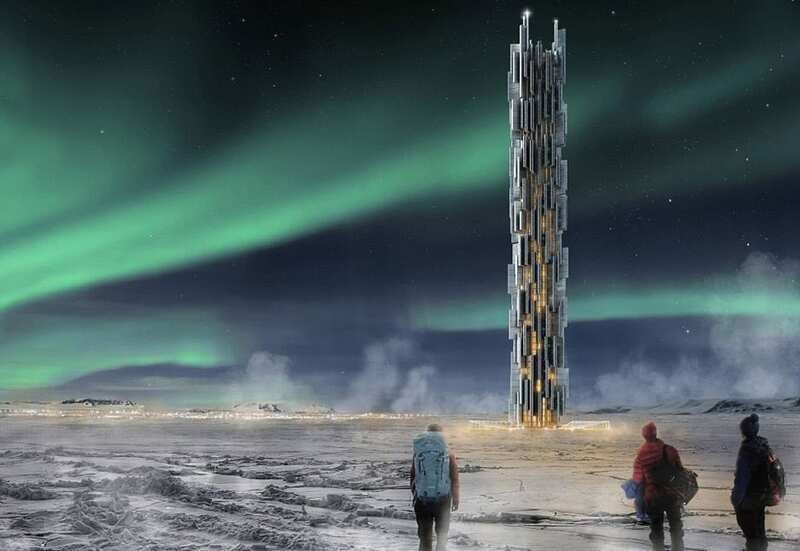 The design was picked from 489 entries, which included skyscrapers that purify air, buildings conceived to create rain for the driest regions and skyscrapers that prevent cities sinking. Yitan Sun and Jianshi Wu’s project New York Horizon proposes a continuous horizontal skyscraper around the full perimeter of a sunken Central Park. 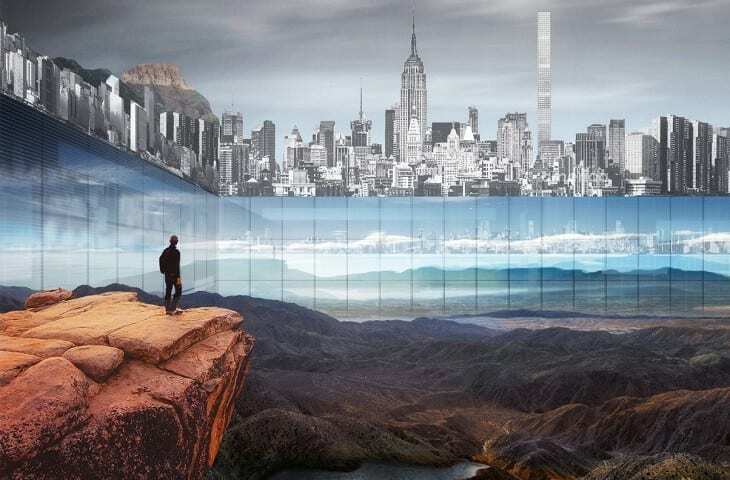 The project would create seven square miles (80 times greater than the Empire State Building) of housing with unobstructed views and connection to the park. Manhattan is one of the World’s most densely populated cityscapes. Because space is at a premium most developments are built up, resulting in an area rivalled only by Hong Kong for the number of skyscrapers it houses. But Central Park offers a rare expanse of space. The1.3 square mile urban park gives New Yorkers a change to escape the busy urban life, although only a fraction of the population can enjoy its natural environment on a daily basis. Or so Sun and Wu argue. 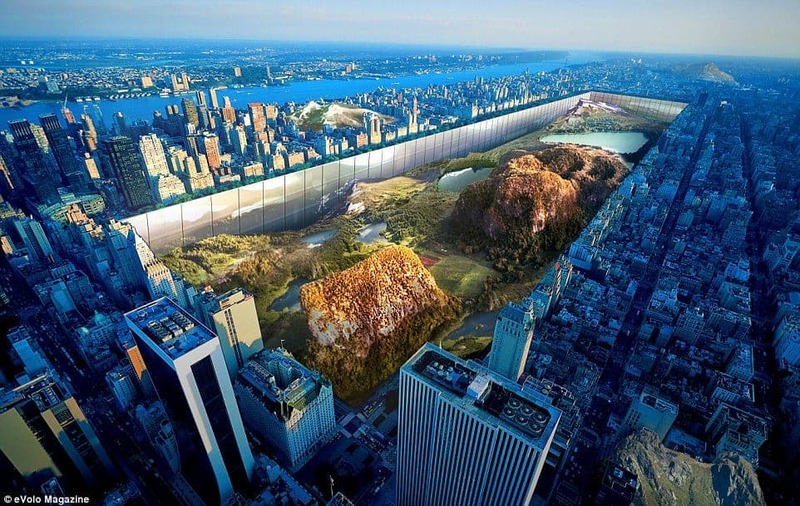 They have devised a way to make Central Park available to more people by building a hybrid multi-functional mega structure. By digging down it reveals the bedrock (mountain) that was hidden under Central Park, and creates space along the new cliff. The 1000-feet tall, 100-feet deep mega structure provides a total floor area of 7 square miles, which is about 80 times greater than the Empire State Building. Wrapping all four sides of the new Central Park. This system breaks the traditional perception of large-scale skyscrapers without taking valuable ground area of Manhattan. The soil removed from the original park is relocated to various neighborhoods, which will be demolished and moved into the new structure. This creates a new urban condition, where landscape can serve as an inherent part of the city. With its highly reflective glass cover on all sides, the landscape inside the new park can reach beyond physical boundaries, creating an illusion of infinity. In the heart of New York City, a New Horizon is born.